The third day of the third month of the Chinese lunar calendar, marks the festival known as 'San-Yue-San'. It's recognized by many ethnic Chinese, especially the Zhuang people who live in the Guangxi Zhuang Autonomous Region. The event is similar to Valentine's Day in the West. A folk music fair. 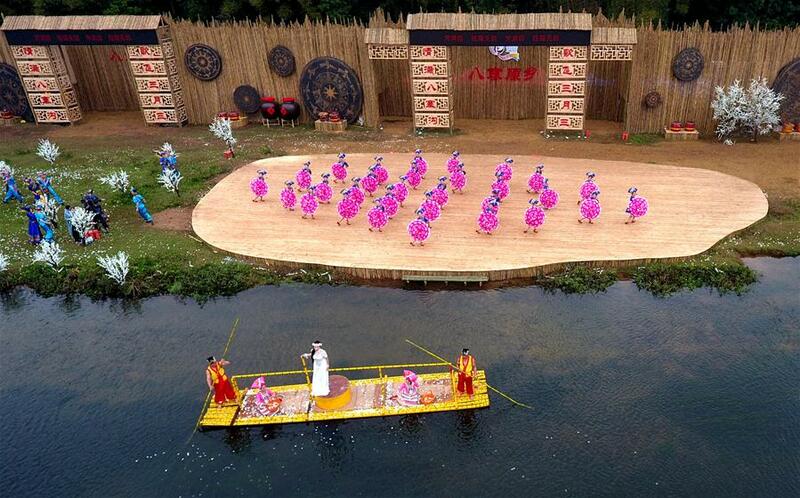 A variety of activities are being held in the capital city of Nanning. 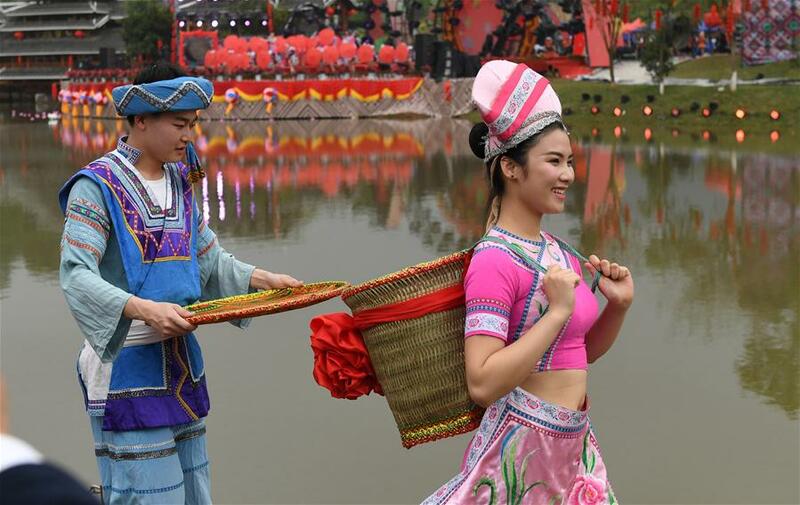 People are wearing Zhuang style clothes and taking part in this grand event. In Guangxi, singing and dancing is an old tradition of social life. Girls distribute little gifts to visitors, a way to wish them good luck. "The ribbons pray for good. Red for career, yellow for fortune, pink for love," Volunteer Li Ya said. The festival has more than just music and singing, visitors are welcomed and encouraged to participate in interactive games. Through these activities, young boys and girls have more chance to get to know each other and express their feelings. Now some of the activities have gradually become sport games. "There are so many people here, giving me a taste of the Zhuang's culture. Their clothes are very unique and college students are creative in handcrafts," A visitor said. Zhuang is the largest ethnic minority in China with a population of 17 million people. 85% of them live in Guangxi. Celebrations have been held throughout the region and in other neighboring provinces on this particular day every year.